12 Scrumptious Paleo Slow Cooker Cookbooks To WOW Both Beginners & Experts because you'll be eating a lot of meat if you go Paleo! Beyond the tasking of learning which food is allowed and debating what early humans might have eaten, one of the biggest challenges of a paleo diet is finding the time to cook. Because you are avoiding processed food, the paleo diet can require much more time in the kitchen. With this list, we’re looking at cookbooks that can help you save time with your cooking by relying on a slow cooker. Because of the many variations within the paleo diet, we recommend taking the time to figure out precisely what ingredients you will and will not eat before buying any cookbooks. With this list, we’ve focused on recipe books that do genuinely focus on the paleo diet but even then there are considerable differences in the ingredients that they use. As such, you may find that many recipes work well for your diet but you may also need to make substitutions from time to time. This first cookbook is somewhat controversial. One of the biggest issues is the design. From the appearance, most people expect to be getting a visually stunning cookbook, yet the paperback version is in black and white and also appears to be fairly low quality. However, at around this price for the paperback and considerably less for the Kindle version, perhaps this isn’t too surprising. Aesthetics aside, the recipes that this book offers are decent and that would be the main reason for picking it up. Additionally, most of the ingredients are fairly straightforward and the recipes are easy to follow. Another interesting thing is that there is a decent variation of recipes. 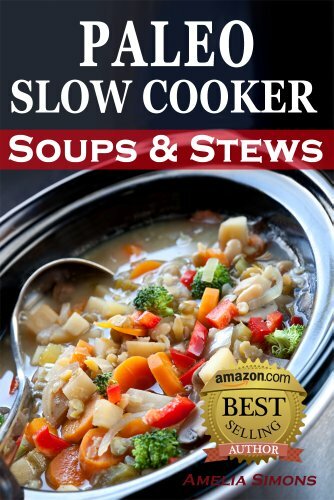 Many slow cooker cookbooks tend to focus just on soups and stews but this one goes beyond that pattern and includes some recipes for breakfast and dessert. The biggest advantage of this cookbook is simply the sheer number of recipes. With 101 recipes, you are bound to find at least a few things that are appealing and easy to create, regardless of how strictly you follow the paleo diet. The number of recipes also allows for more variation in the type of recipes that are in the book and some of the recipes are things that you may not have imagined making in a slow cooker. That’s an especially appealing aspect, because most people already know how to make soups and stews in a slow cooker. 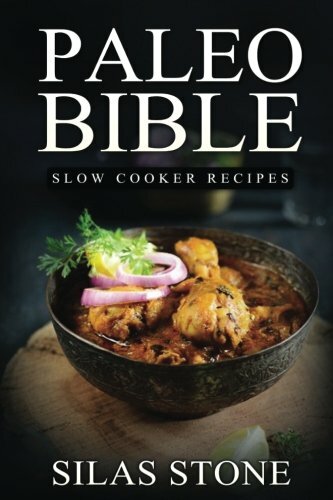 The author of this cookbook takes an interesting stance with her recipes, with an emphasis on recipes that are fast to prepare and can simply be put in the slow cooker and left alone. This stance is likely to be appealing for many people, as it is the best way to use a slow cooker if you actually want to save time. Far too many recipe books for slow cookers require complex prep or putting in ingredients at various times and it’s nice to see that this cookbook takes a much simpler approach. The recipes themselves are also another good thing about this cookbook. For one thing, there are more than 150 different recipes in the book, which means that you have a decent selection to choose from. Some of these recipes are also low in salt and others are extremely low in prep time. The recipes also strongly rely on basic ingredients, so you’re not going to have to buy a bunch of things that you’ve never heard of simply to make the recipes. All-in-all the cookbook is a solid addition to any paleo kitchen and is bound to offer some inspiration. This cookbook is on the simpler side but it does have the advantage of being pretty cheap, especially if you end up buying the Kindle version. More than anything, the cookbook is good for new ideas, especially if you are just getting used to following a paleo diet. The author also provides the nutritional information for various recipes, which is perfect for anyone who is trying to lose weight with a paleo diet. The emphasis of this cookbook seems to be mostly on relatively simple and tasty food options. So, the recipes are not as complex or unique as some other cookbooks but they are still appealing and are easy to create. Regardless of whether you’re following the paleo diet or not, having access to a range of fast and easy meal ideas is a great choice for any kitchen. At the same time, many of the recipes in this book offer an illustration of the types of meals that you can make, so you could use them as inspiration or simply tweak them to make favorites of your own. This cookbook is a little bit unusual, as it is designed as an introduction to paleo, while also being a recipe book. Because of this, the author spends some time talking about the benefits of paleo and why it is worth following. Some people may find that aspect interesting but others may find it too preachy, especially as many people who buy the book will already be on a paleo diet. Despite that limitation, the cookbook is worth buying simply for the recipes. These are categorized into three different sections, one for breakfast, one for lunch and one for dinner. There are also upwards of 160 recipes in this cookbook, so there’s a decent number to choose from, including options like Spinach-Feta Stuffed Chicken Breasts. The selection means that some of the recipes are likely to appeal to you, even if you don’t happen to like them all. 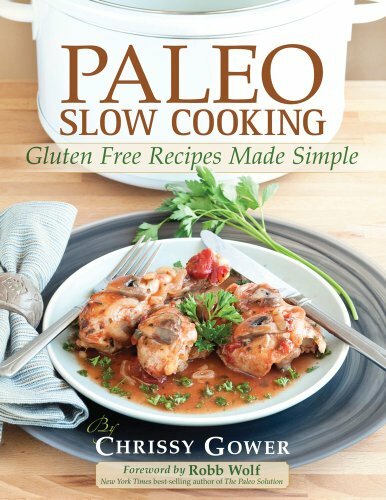 By its very nature, the paleo diet tends to be gluten free, so the subtitle on this cookbook is a little redundant. Still, it is a great reminder that this type of cookbook is a good option for people who need to avoid gluten, regardless of whether they are on the paleo diet or not. For that matter, paleo food can work well for many types of diets. 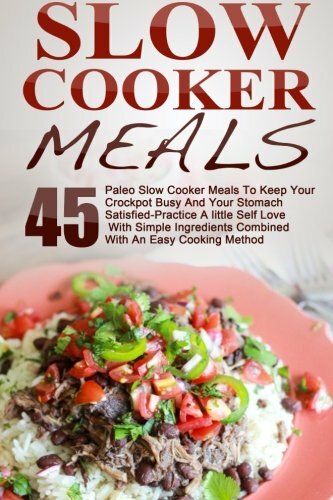 It’s also important to note that despite the title, not all of the recipes are actually made in the slow cooker. Instead, there are a number of individual side dishes that are used to complement slow cooker meals. This may be appealing to some people but it isn’t something that you would expect simply from the cover of the book. Unlike some of the other books on the list, this one makes use of sauces and spice mixes from various brands, including Penzeys and El Pato. Doing so is a good way to save time and money, although it is somewhat debatable whether the individual products are truly paleo, especially as many people on the paleo diet avoid most processed and packaged food. With most types of food cookbook, you normally find a number of entries from blog creators. After all, writing a cookbook is a fairly natural progression from a blog that’s filled with recipes. That’s the case here, and this cookbook was written by the author of Rubies and Radishes. This means that the author already has considerable experience in making paleo food and has a strong reputation in the field. In fact, the reviews for the book suggest that people were excited about its release. From the reviews, it’s clear that the food in the cookbook is amazing and much better than most of the other cookbooks on this list. Nevertheless, the book does also come with issues. In particular, many people complain about poor editing and some confusing steps. However, many of those complaints were made soon after the book was released, so it’s possible that some have been fixed by now. Even with its issues, the book is still a good choice for anyone looking for inspiration, especially as the recipes do stand out compared to many of the other books on this list. In many cases, it would be fairly easy to ignore editing issues or to interpret what the author was meaning when the recipe is poorly written. Most people already know how to cook soups and stews in a slow cooker, so there isn’t anything especially revolutionary about this book. Additionally, it is a fairly short option, so it is limited in the number of recipes available. Nevertheless, the big advantage of this cookbook is simply the price. 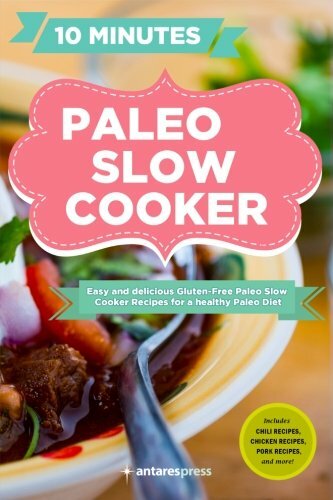 At less than a dollar, it may well be worth picking up this cookbook for the chance to learn a few new recipes or tips for making good paleo food in a slow cooker. Once again, with this cookbook you’re getting one that is relatively short and inexpensive. In this case though, there are around 50 recipes in the book and they cover a range of different meal types. While the recipes do appear to be pretty good, anyone who is strictly following paleo may want to be careful about which ones they follow. For example, the first recipe in the cookbook uses just three ingredients, one of which is hot dogs. As a general rule, hot dogs are not considered paleo, even though they are a type of meat, largely because of how heavily processed they are. Likewise, the book makes regular use of other products that are debatable under the paleo diet. Because of the ingredient choices, this book is best suited for people who are not following paleo strictly or people who are confident enough to modify the recipes as needed. With the recipes in slow cooker cookbooks, there tend to be two general patterns. In some cases, you find recipes where the various ingredients just need to be thrown in the slow cooker, while other recipes tend to require additional preparation steps. This cookbook is an example of the latter approach, so you can expect some additional work when making the meals. That isn’t necessarily a bad thing though, as it creates the potential for more complex and more interesting dishes. In fact, this book does contain recipes for multiple different styles of food, including Mexican and Mediterranean dishes. It shouldn’t be too surprising but this cookbook is similar to many of the others on the list in terms of overall approach and even the type of recipes that are provided. This is also a cookbook that has no pictures, so it’s best for people who rely on descriptions more than visual imagery. Nevertheless, if you’re ordering a cookbook that costs this cheap for a physical version then it’s likely that the book will have few to no pictures. The recipes themselves seem to be fairly appealing, although they are still similar to what other similar cookbooks have to offer. There are some great paleo cookbooks out on the market, along with many books that seem to use the term paleo mostly because it's popular. 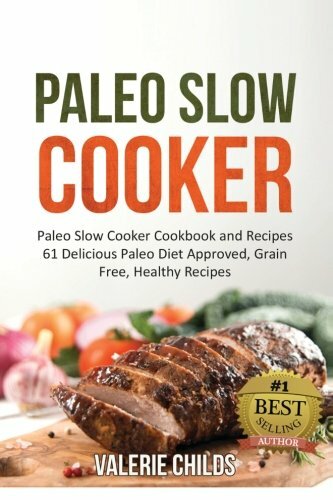 Unfortunately, when it comes to paleo slow cooker cookbooks we noticed that there wasn’t a large selection of options and that many of the cookbooks were fairly low quality. At the same time, most took a fairly lenient view of the paleo diet, so anyone strictly follows the diet would probably have to make some adjustments to the recipes. 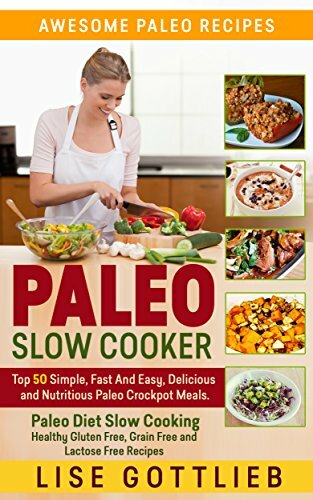 Nevertheless, despite those limitations, these cookbooks can act as a good starting point for paleo slow cooking and can help you to figure out how to make paleo meals without having to put a lot of work into the process. In many cases, the cookbooks are also fairly inexpensive, which may be an appealing factor. 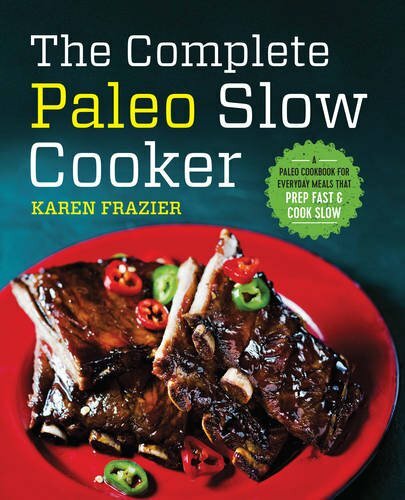 Of the books in this list, the main one that we recommend is The Complete Paleo Slow Cooker by Karen Frazier. This cookbook has a few key advantages, particularly because the recipes don’t require much prep work and because there are more than 150 recipes to choose from. The book is also fairly popular among reviewers and has both a physical and a digital version. 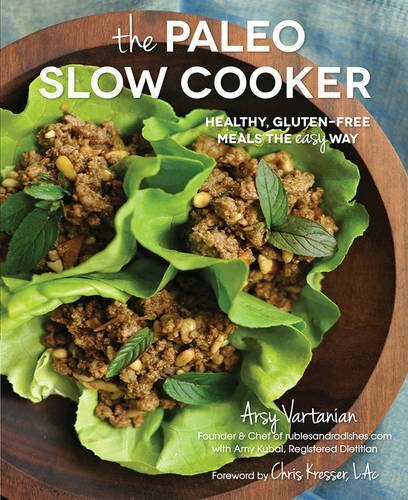 The other book that we suggest from the list is The Paleo Slow Cooker by Arsy Vartanian. This book is one of the few that is written by a food blogger and that suggests a degree of expertise on the part of the author. 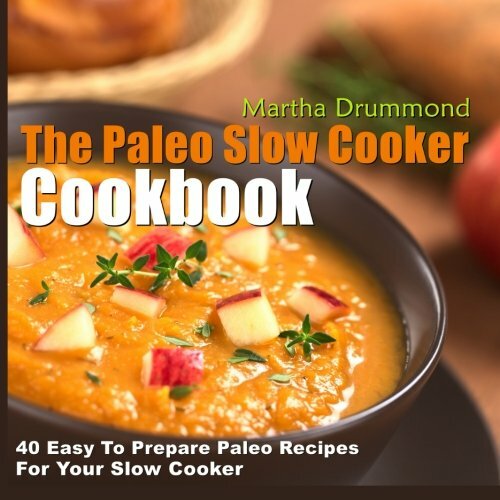 However, this book is best suited for those who already have some experience with paleo cooking, as there are some errors along with adjustments that need to be made. 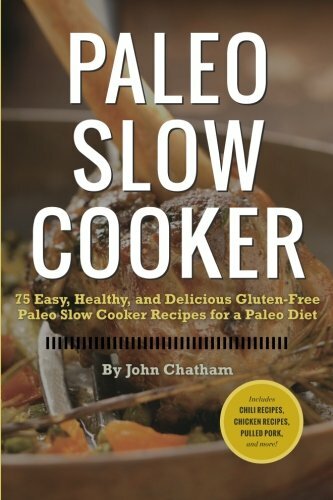 Part of making an awesome Paleo meal with these cookbooks is having a reliable slow cooker. Things like temperature control, even cooking, automatic warming preset timers can really help you improve the taste and timing of your meals. We've done a lot of research into individual slow cookers as well as devices organized by price and size. Get the best slow cooker based on your budget and amount of food you'd like to prepare in one sitting.